In a survey done in 2008, an estimated two million people in the US, specifically adults, went to the doctor to complain about the pain that they felt in their shoulders. This primarily due to the problem that the shoulder’s rotator cuff imposes. Rotator cuffs are responsible for stabilizing the shoulder joint and when a tear in the rotator cuff surfaces, a person may find it very difficult to do the simplest, and what should be trivial, tasks in life such as putting on a shirt, combing the hair or simply to scratch the head. This kind of manifestation is more common in adults than those who belong in the younger generation. The common causes for rotator cuff tears are due to injury and degeneration of the tendon. As we grow older, our bodies’ capacity to regenerate new or torn tendons becomes very sluggish, and over time, we will begin to wear them down. 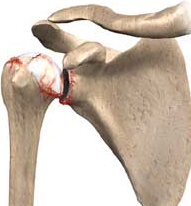 A few examples that may contribute to rotator cuff tears are the following: repeated stress and pressure on the same arm especially when regularly participating in sports such as weight lifting, tennis, baseball, and rowing,insufficient blood flow or supply that slows down the process of any healing of the torn tendon, and acquiring the condition of shoulder impingement wherein it involves bone overgrowth that may cause to rub with the rotator cuff. The good news is, especially for older individuals, those suffering from this kind of condition may have themselves treated through the method called Reverse Total Shoulder Replacement. 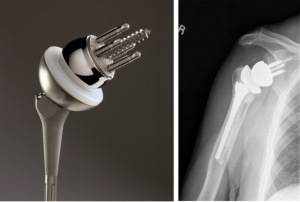 Because of the advancement in surgical procedures and techniques as well as in modern implant technology, treating this condition is now clinicall proven and can have the patient regain proper arm and shoulder function with the relief of being pain free. Those who have been suffering from the pain and inconvenience of having rotator cuff tears in the shoulder may find themselves greatly benefiting from the Reverse Total Shoulder Replacement procedure. Because the whole procedure now involves the most advanced tools and techniques, and when going through it in experienced hands, the whole process will only take two to three hours to complete and will not cause a patient to stay in the hospital any more than 2 days. In general, patients who go through Reverse Total Shoulder Replacement show significant improvement with mobility concerning arm and shoulder functions, and the range of motion for the affected area is also improved. One of the largest problems with a conventional shoulder replacement is that the procedure is excellent for pain relief, but not great for restoring function. The reverse total shoulder is though, which has made it revolutionary. Also, because of this procedure, people experience significant relief from pain and can have better shoulder stability even for the long haul. With appropriate physical therapy after the surgery, the patient’s active range of motion will be much better than it was prior to the surgery.